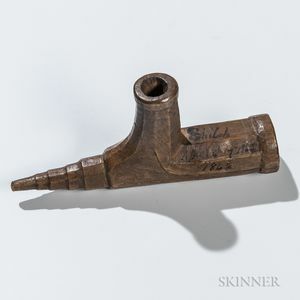 Shiloh Pipe Bowl, c. 1862, soldier-carved pipe bowl, marked on the bowl "Shiloh/April 6 and 7 1862/1862," overall ht. 5 1/8 in. In good condition with a check in the wood at the bottom of the bowl.